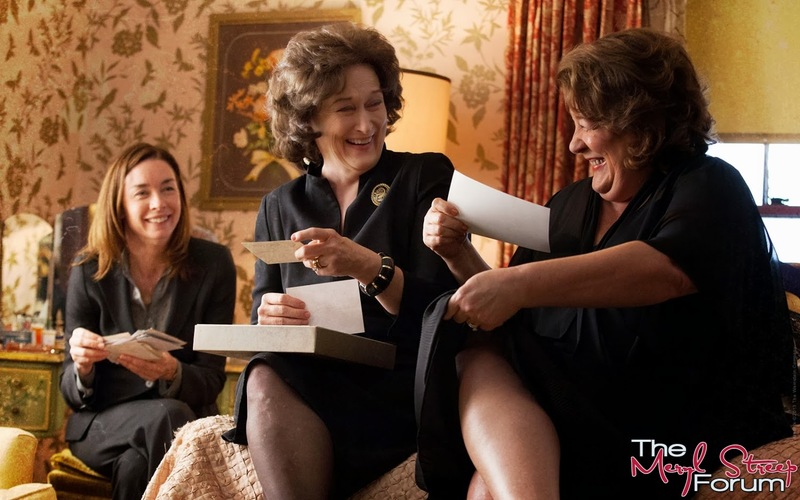 Word on the Streep: New pics from "August: Osage County"
I saw Blue Jasmine last week and thought it was a very good film. Cate of course was excellent, she did a great job balancing different sides of a tricky character and if she wins this year I won't call travesty. Last night I saw Philomena and I thought it was really well made too. Judi Dench gave one of her finest turns that I've seen in what initially looked like a lighter role. She was really affecting and nuanced. Again, if she wins I will not be sad. 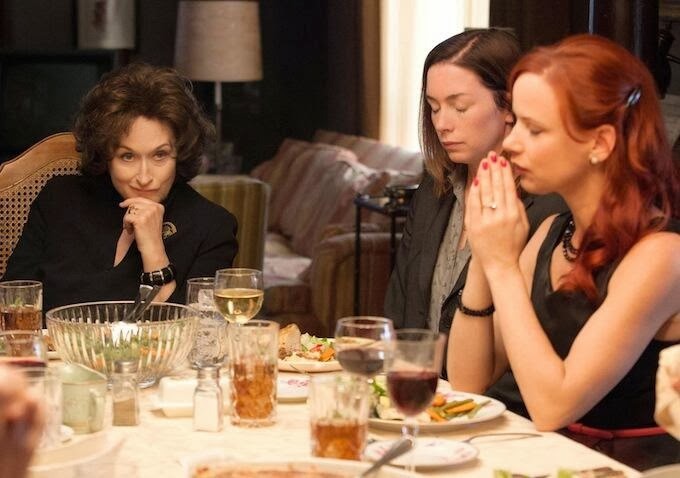 Jeff, now time has passed since you saw it, how do you feel about August: Osage County and Meryl's performance? It's just been a couple of weeks but I really want to see the movie again. There was just so much going on in Meryl's performance it's difficult to digest everything in one viewing. After a bit of time has passed I can appreciate more how incredibly challenging and nuanced this performance is. I think it'll go down as one of her finest.